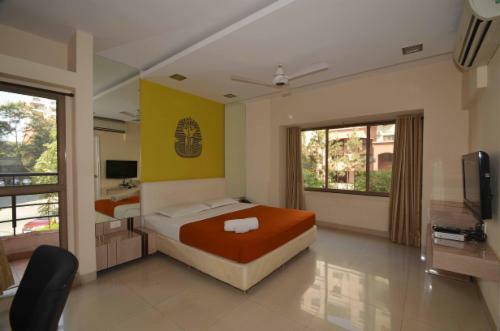 The rates mentioned are for upto 1 person. Extra person charges: Rs 500. Rates mentioned are without taxes. 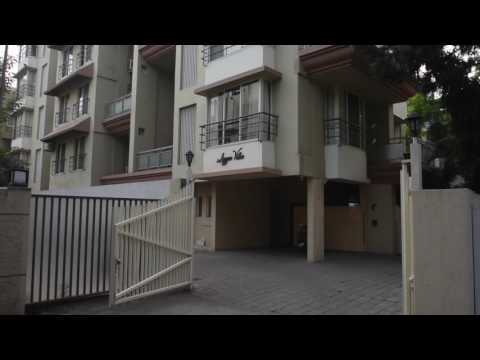 This Service Apartment in Kalyani Nagar Pune is located in a commercial area close to The Lexicon International School & Fortaleza Co-operative Housing Society Kalyani Nagar, about 2.7 kms from Pune Golf Course, about 4.4 kms from Panchashil Tech Park, about 6.5 kms from IT Park, Bhairav Nagar and about 5.2 kms from Pune Airport. 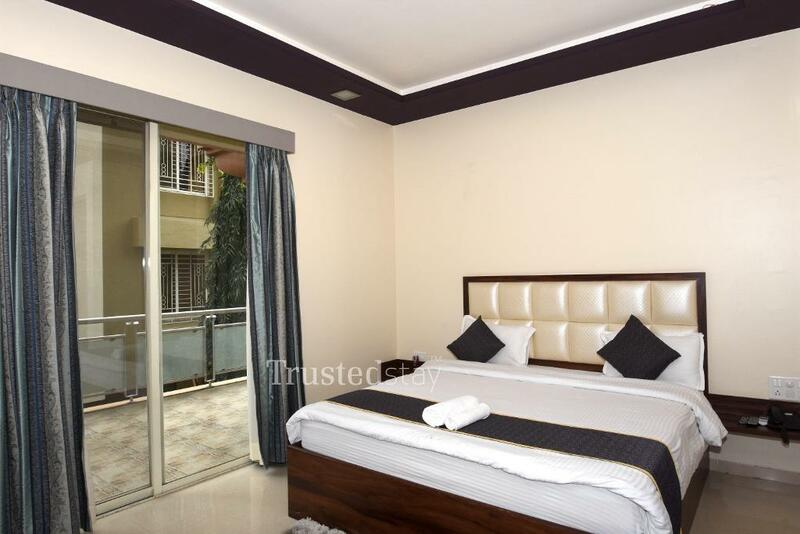 This Service apartment is a standalone building with 24*Studio units spread 6 Studios per floor, two Studio are with balcony in every floor, each Studio is fully equipped with AC, LCD TV and attached bath, Central kitchen is on the ground floor, where the breakfast and food gets prepared, ideal for small family or a corporate eith for short or long stay. 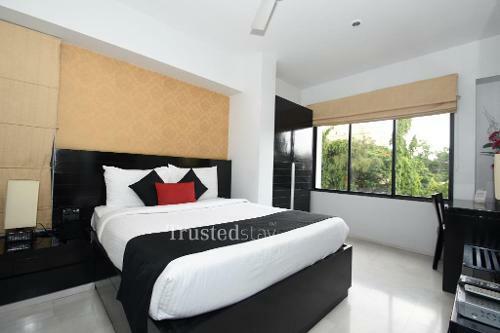 Its a fully furnished independent room approximately 200 sqft in size with an attached bathroom. 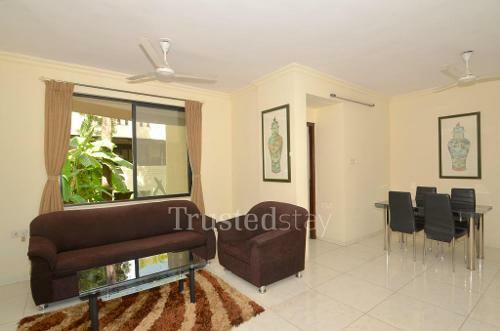 Its a fully furnished independent room approximately 200 sqft in size with an attached bathroom and Balcony. 1 Adult, 1 Unit,1 Night . Pune is known for its neighbouring hill stations, forts and pilgrimage. TrustedStay offers the perfect stay option with comfort and best in class amenities. Most of the TrustedStay service apartments are in proximity to shopping markets, public transports and hospitals. Complimentary internet and homely breakfasts in a fully furnished living area, bedroom and kitchen with a personal chef on request makes it a unique offering. Come experience service apartments, exactly as you expect! Please fill the form our customer executive will reach you soon. Book Apartments on the go. © Trustedstay 2019. All Rights Reserved.